Like many people, Lady Gaga was bullied in school. It's what she has done with that pain that has made her so inspiring to millions around the world. She was called ugly, fat, weird and annoying. Classmates didn't understand why anyone would want to stay home and write music instead of go out and play. Then it got even more serious: when she was 19 she was sexually assaulted. Those memories still hurt, even now that she's a mega-star. In fact, just two months ago, she revealed that she lives with PTSD as a result of the sexual assault. Like no other artist, Lady Gaga has channeled her emotions into positive action, in both her music and her social activism. She champions the cause of all victims of human rights abuse, from LGBT teens to bullied children. She writes songs about being different and the importance of owning it, such as "Born This Way." Her Oscar-nominated "Til It Happens to You" makes you share the pain of being sexually assaulted. Lady Gaga does much more to change society than sing. In 2012 she launched the Born This Way Foundation, which aims to "help young people be brave and to foster a more accepting society, where differences are embraced and individuality is celebrated." She is also active on issues facing the LGBT community, such as repealing the military's "Don't Ask, Don't Tell" policy. 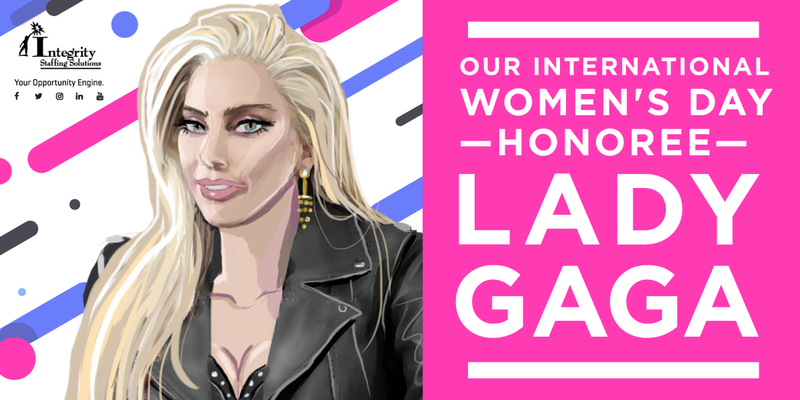 Lady Gaga has shown tremendous strength and courage in putting her personal traumas out there, not just for her personal self-expression, but for everyone who identifies with her message. We honor — and in our own way we share — her mission to honor diversity and make the world a kinder place for everyone, no matter who they are.